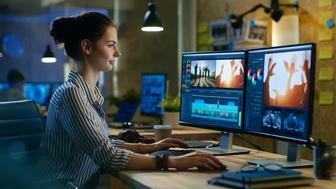 Corel is a major presence at Macworld Expo, showing its commitment to both the Macintosh platform and the creative applications it purchased from the company formerly called Metacreations last year. On Tuesday, it introduced beta previews of Corel KnockOut 1.5.1 and Bryce 4.1 for Mac OS X, delivered its downloadable Corel Painter 6.1 upgrade and revealed its release schedule for creative Mac-applications up until September. Corel's recent financial problems were relieved by a cash injection from Microsoft. Buoyant Corel PR Meredith Dundas and manager of creative applications, Ian LeGrow, told Macworld how important Mac OS X compliance is to the company. "Corel is dedicated to professional graphics on Mac and Windows," said LeGrow. "We promised to deliver upgrades to our creative Mac-applications and the schedule begins in earnest today." "Back in autumn we looked at delivering support for Mac OS X - both Bryce 4.1 and KnockOut 1.51 are porting to OS X, " he continued, "Both of these are available from today as free beta downloads. We are showing our commitment to the Mac platform by offering users a chance to try the products before release with the beta versions of Mac OS X." Beta apps Beta versions of both applications will be available for download until March 15, 2001. Both applications have been carbonized to run natively on Mac OS X, and KnockOut has been given an Aqua interface to reflect this development. Bryce is a popular 3D graphics application for creating 3D worlds and abstract 3D sculptures. KnockOut is a powerful masking app that helps in the creation of accurate digital-photo composites. Painter 6.1 (a "loyalty release" according to Corel) is also available for download, offering a selection of bug-fixes and feature enhancements. Enhancements have been made to the Soften, Sharpen and Highpass effects and the update offers a Woodcut effect for the first time. PhotoPaint 10 Looking forward, Corel promises that its OS X-compliant Corel PhotoPaint 10 will be given an Aqua interface by summer 2001. PhotoPaint will also be available in a Mac OS 9.1 version. The application will contain a "full complement of every effect known to man", said LeGrow. Corel's pro-sumer photo-manipulation solution, PhotoPaint 10, will offer simple-to-use, built-in colour-management features. "Printing is an area that is very important to our users," said LeGrow. To simplify colour management for users of multiple printers, the application can remember the relevant profiles and apply them automatically. LeGrow and Dundas also revealed the company's release schedule between May and September. 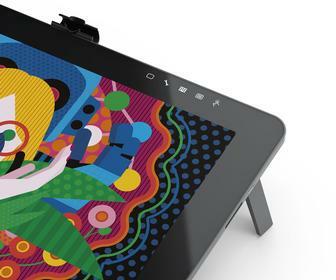 Beginning in May, Corel is gearing-up to announce significant updates to a slew of its creative applications. Bryce users can look forward to Bryce 5 in May, followed by Painter 7, CorelDraw 10, Kai's Power Tools (KPT) 7 and KnockOut 2. LeGrow said: "Professional graphics and the emphasis on the Mac is a very big thing." He also promised a selection of other applications later this year. The company expects to release information about its revamped corporate strategy On January 24.